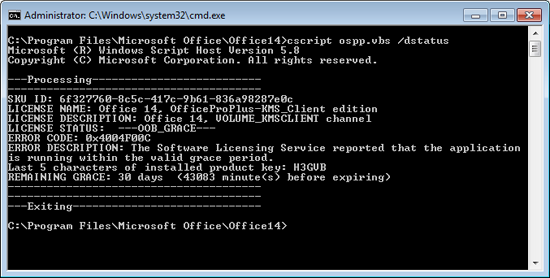 I had some licencing issues a couple of weeks ago with Office 2010, and needed to check my version and licence details, thankfully Office 2010 comes with a VB script that makes this easy. 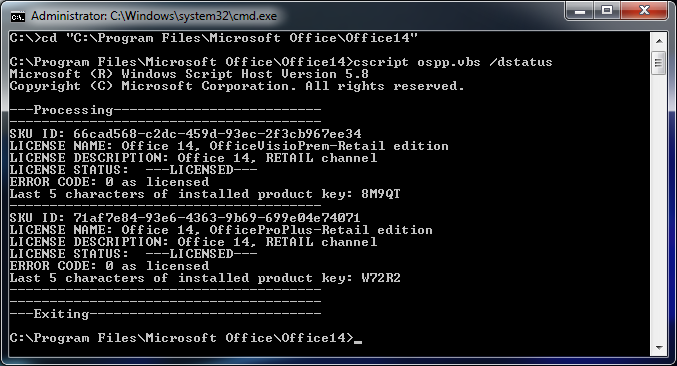 (Above) This installation of Office 2010 (Pro Plus) is UNLICENSED, (it’s waiting for a licence key to be installed). 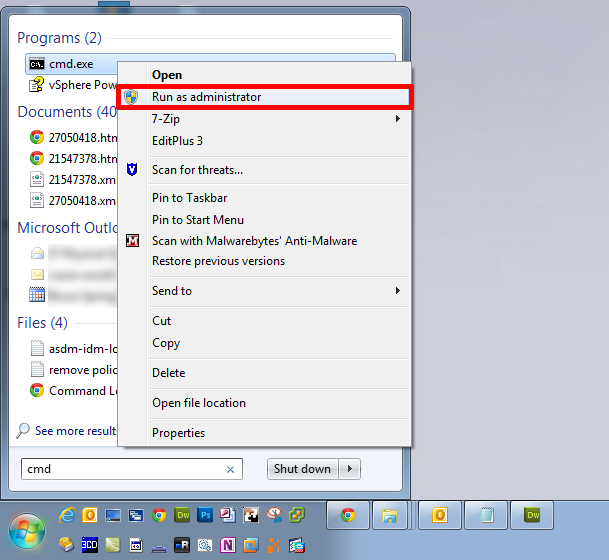 It will run for another 30 days like this, then this will happen. You can fix this by manually installing an Office MAK key, or setting up a KMS server on your network. (Above) This installation of Office 2010 (Pro Plus) is LICENSED and has been activated with a MAK key. 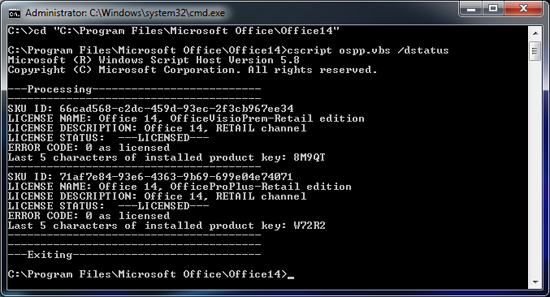 (Above) This machine has RETAIL versions of both Office 2010 (Pro Plus), and Visio (Premium). 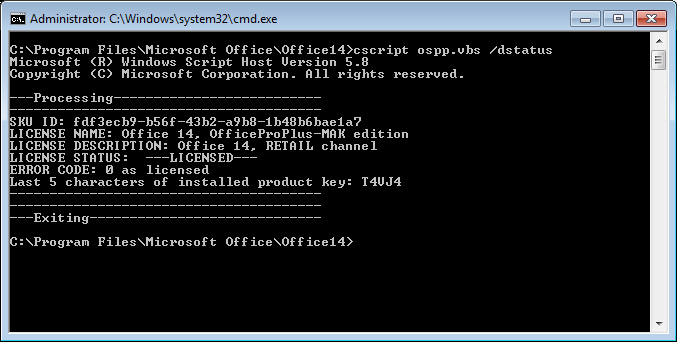 Both are LICENCED, and activated with a retail (or box product) Key.